Heat oven to 400°F. 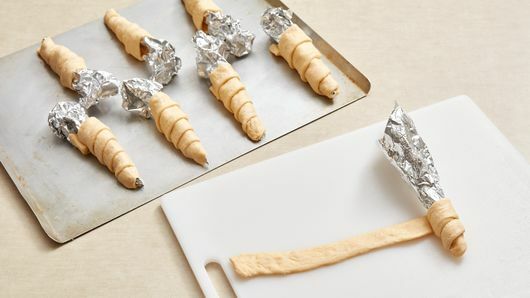 Roll sheets of foil from shorter ends into cone-shaped molds. Unroll dough on work surface; if using crescent rolls, press seams to seal. 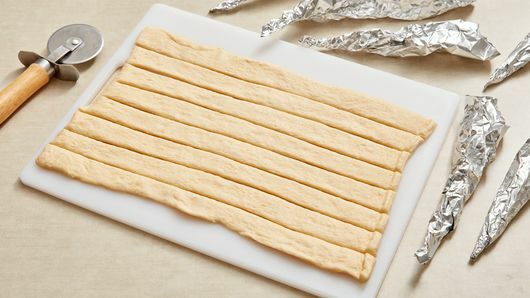 Use pizza cutter or knife to cut dough lengthwise into 8 (1-inch) strips. Wrap 1 strip around each foil mold to create carrot shape. Place 1 inch apart on ungreased cookie sheet. Bake 7 to 9 minutes or until golden brown. Transfer to cooling rack; cool completely before removing foil molds. 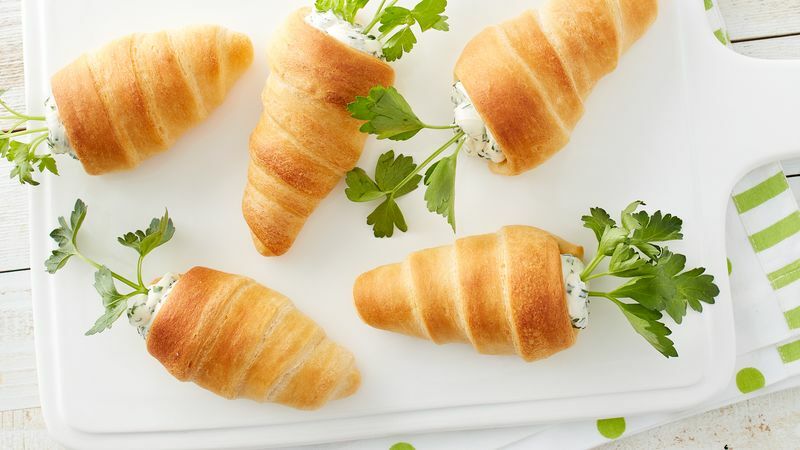 In medium bowl, beat cream cheese, parsley, chives, lemon peel and salt with electric mixer on medium speed until smooth and combined. 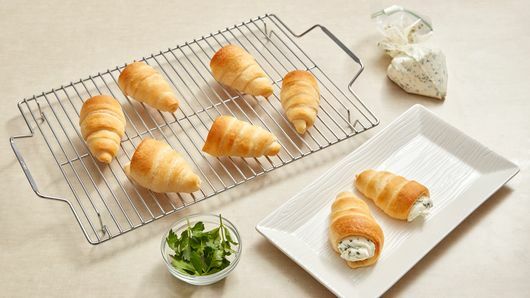 Pipe or spoon cream cheese mixture into cavity of each crescent. Top with 2 sprigs parsley for carrot top. Gently twist foil molds for easier removal from crescents. Swap cream cheese mixture with your own favorite filling, such as egg salad or chicken salad.